Home Inspection NW Chicago Suburbs | Michael Allan & Associates Inc.
Michael Allan & Associates, Inc.
Michael Allan & Associates have been proudly serving Chicago’s northwestern suburbs since 1986. Our team has completed more than 30,000 and commercial inspections for buyers and sellers. We also have specialized training in home construction and indoor air quality concerns. To ensure that you always receive the best possible home inspection service, our inspectors take 30+ hours of continuing education every year. We’ve built a comprehensive list of inspection services meant to suit the needs of every buyer and seller in northern Illinois. 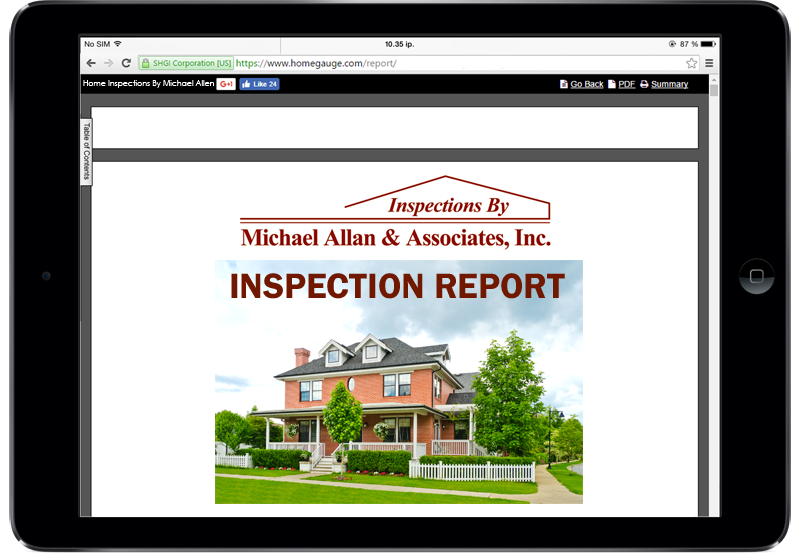 After your inspection is completed, you’ll receive a concise, detailed, and easy to understand report via email, along with pictures that showcase the property’s condition. We provide each client with free access to HomeGauge’s Create Request List™! This easy to use online program takes away the burden of copying issues into a home repair addendum. Instead, you’ll be able to simply click on each applicable problem to create a detailed attachment for the repair addendum form. Making Your Life Easy is Our Goal! Reports with photographs are emailed within 24 hours. We love educating buyers; join us during the inspection to gain valuable insight into your new home! Saturday appointments are available for your convenience. We’re happy to answer any questions after you receive your inspection report. Our home and commercial inspection services are available throughout the suburbs of NW Chicago, including Cary, Crystal Lake, Algonquin, Barrington, Lake Zurich, Palatine, Arlington Heights, Schaumburg, Buffalo Grove, McHenry, Woodstock, Huntley, Elgin, Grayslake, Hoffman Estates, Wauconda, and Hawthorn Woods.